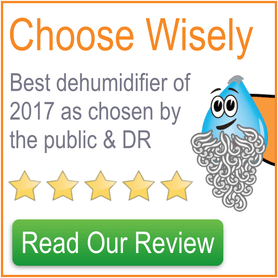 EcoAir Dehumidifier Reviews - Which Dehumidifier Is Best? They sell both the best desiccant and refrigerant dehumidifiers currently available! The EcoAir DD122FW Classic Mk5 is in our opinion the best desiccant dehumidifier currently available and is topping all sales charts with its sister model the ‘DD122FW Simple’. It is powerful, portable, simple to use and has a great range of quiet and efficient modes. As an added bonus it carries a silver filter and ioniser for air purification. Read EcoAir DD122FW Classic review. The fantastic EcoAir DC202 is in our opinion the best dehumidifier currently on the market. This refrigerant machine is extremely powerful, yet relatively small and quiet and comes with a market-leading air purification system. You should at least consider this machine for your home. Read EcoAir DC202 review. The EcoAir DD122FW Simple Mk5 is exactly the same as its ‘Classic’ sister model, but without any of the bells and whistles like an ioniser or digital control panel. That means this stripped-down dehumidifier offers great dehumidifying power at a very tidy price. Read EcoAir DD122FW Simple review. The EcoAir DC12 is the DC202’s smaller brother. With the DC12 they have done a great job of packaging the great points about the DC202 into a smaller unit suitable for homes up to three bedrooms in size. What we liked about it was the digital control panel, extraction power and clever design in a very affordable package. Read EcoAir DC12 review. The EcoAir DD122 Mini, like the DD128, is an advancement on the very popular DD122FW models. This time, rather than making it bigger and more powerful, they’ve made it much smaller, even quieter, great-looking and all for very little compromise in terms of power and functionality. It’s good value too. Read EcoAir DD122 Mini review. *Now discontinued* The EcoAir DD128 takes the very popular DD122FW models and advances on them in two aspects. Firstly the DD128 is more powerful, extracting 8 litres per day (versus 7 litres) under the conditions you’d expect to find in UK homes. The second major improvement it the design – the DD128 is a good looking machine. Read EcoAir DD128 review. EcoAir specialise in air treatment products, such as dehumidifiers, air conditioners and air purifiers. EcoAir the brand is a trading name of Fok Trading Ltd., a company registered in England from 2006. Beyond that with it being a privately held company there’s little more we can tell. Although looking at the company accounts it does look financially solid. EcoAir have only been in existence since 2006, so if I’m honest there has been doubt over their pedigree in the market. 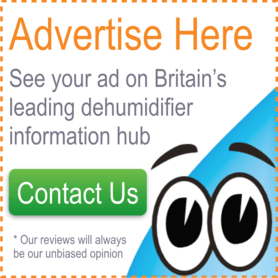 They originally seemed to specialise in desiccant dehumidifiers, with a couple of different models. However, recently they released the fantastic DC202 and followed that up with a best-selling budget option, the DC12. What is so impressive is that despite this lack of experience compared to say, a manufacturer like De’Longhi, currently I believe that EcoAir are producing both the best desiccant and refrigerant dehumidifiers on the market (see below). EcoAir offer something for everyone, whether it’s a desiccant or a refrigerant dehumidifier. They also offer models to suit all pockets. Look out for the ‘Classic’ varieties, which are pumped up with great features like ionisers and digital displays. As opposed to ‘Classic’ models, the ‘Simple’ varieties are stripped down to just their pure dehumidifying components, so come much cheaper. They now also match De’Longhi in the warranty department, by offering a two-year guarantee on all of their dehumidifiers.